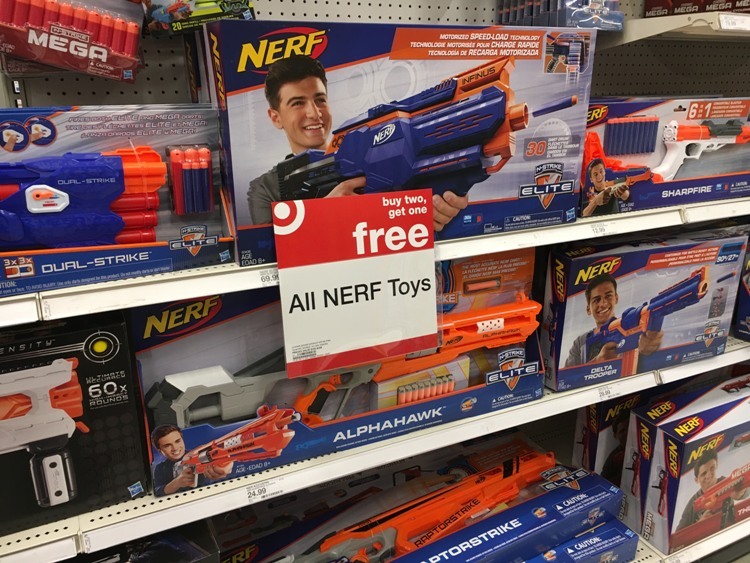 This week there is a great buy 2, get 1 FREE sale on all NERF toy at Target.com or in-store. Even better, many of these fun toys are on sale online at Target.com! 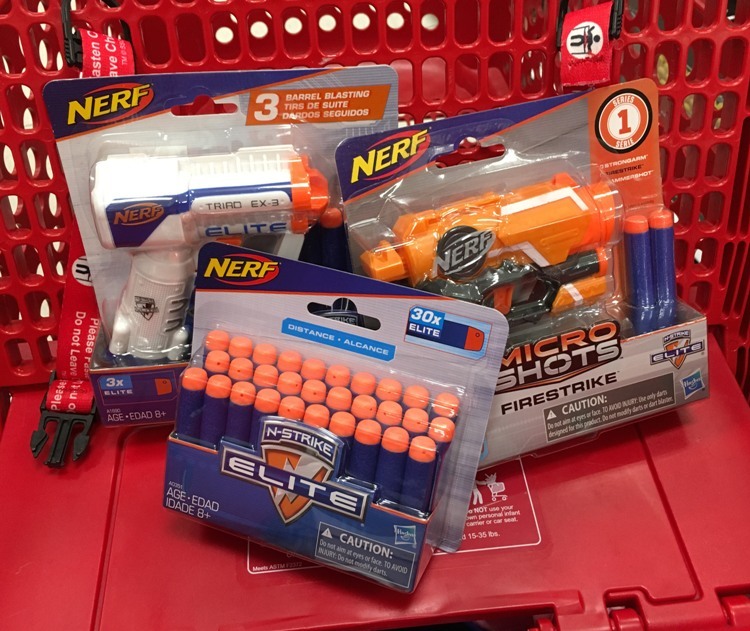 Christmas is less than 100 days away so these deals will come in handy if you have any NERF fans on your list. Target REDcard holders will get FREE shipping. If you spend $35 you’ll get FREE shipping with any form of payment.